Gainesville kids learn about the brain during workshops put on by UF neuroscience students as part of Brain Awareness Week. “Point 3 percent?” shouted one. As part of UF’s celebration of Brain Awareness Week in March, Hernandez and fellow students Kevin Strang, Caesar Hernandez and Seth Currlin engaged 59 homeschooled children in fun, interactive activities to learn about the five senses and the role of neurons in brain function. Brain Awareness Week is an annual initiative to raise public awareness for brain research. It is embraced by universities throughout the world, with programs reaching thousands of people. Beginning March 13, UF held events throughout the week, with lectures from distinguished professors, data blitzes and outreach programs to more than 2,100 children in the community. Sixty UF undergraduate and graduate students led workshops at 16 schools in Gainesville as well as at the UF Health Science Center and the Cade Museum. UF’s Brain Awareness Week events kicked off with the fifth annual William G. Luttge Lectureship in Neuroscience, delivered by renowned neuroscientist James L. McGaugh, Ph.D., research professor of neurobiology and behavior at the University of California, Irvine. McGaugh shared his findings of “highly superior autobiographical memory,” or HSAM — the ability to recall precise, mundane details of day-to-day life many years later — with a standing-room-only crowd at the MBI. 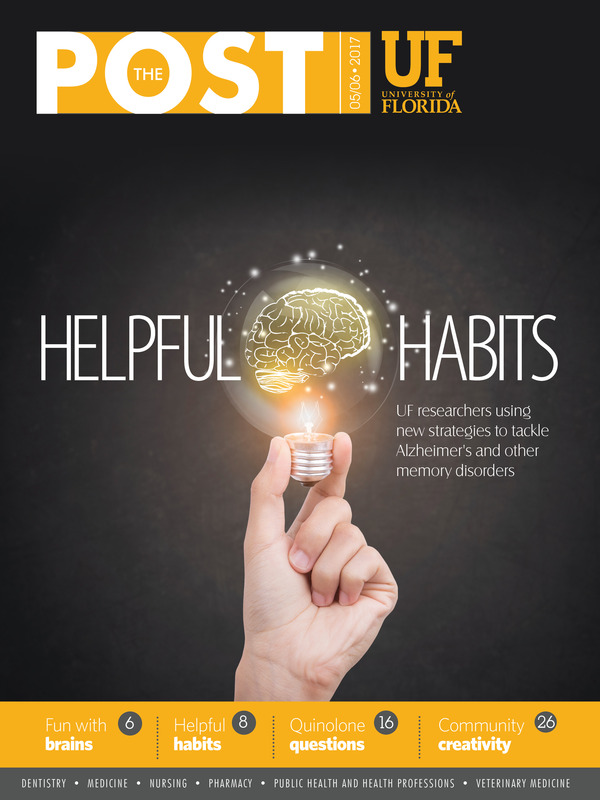 The Luttge Lectureship, sponsored by the McKnight Brain Research Foundation, honors the memory of the late visionary neuroscientist William G. “Bill” Luttge, Ph.D., founding director of UF’s Brain Institute.